How to keep up with the rising costs of using appliances etc. It's all too easy just to say you'll cut down on electricity. 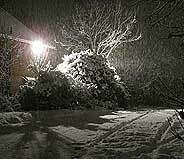 You can do as per various guidelines by turning down thermostats, switching lights off, not leaving your TV on stand-by etc., but you have to wait to see a full Electricity Bill befoe seeing the results and even then, you don't know exactly where and when the savings were. This is where an Electricity Smart Meter comes to the fore. 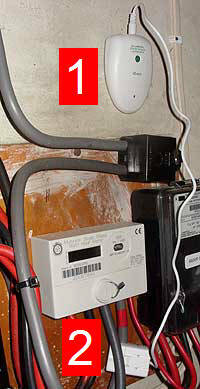 It's a simple device with three main 'ingrediants'; A magnet clamp which you put over the appropriate cable next to the meter. This is wired up to a little wireless signal unit which you can stick to the wall nearby. 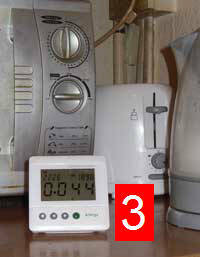 The third and main part is the actual Meter. This picks up wireless messages and shows you exactly what Electricity you are using at any given time, it up-dates every five seconds! Not only will the Smart Meter tell you the amount of elcetricity you're using, but the cost and carbon emissions as well - a real eco-friendly benefit! At the end of each day, the useage is recorded and you can look back at any given day, week or Month. Examples of where this comes in really handy is when you find yourself settling down to say £4 per day and you get a sudden jump to £6. 'What did I do on that day I didn't on others' etc. The Monitor is quite small and you can take it to any part of the house. You can turn on a tumble drier and see what it's costing you! What you will certainly find yourself saying are things like, 'If we used a cooler wash = less time = less fuel used' or say to the kids "Everytime you turn that Kettle on it's costing me XXp! Not only does it show your daily useage, but month to date as well, so give yourself a target and go for it. I've had mine for about 6 weeks and already I'm finding I can cut down on things, even though it's Summer. The other thing I've learnt is that it's, although important, not the little thing's like lights. It's the bigger spends which have the biggest cuts to make - Heating, Cooking, Tumble Dryers etc. The older your Electric Water Boiler is, the more inefficient it will be. Hot waterand Heating useage accounts for over 50% of the cost of the average fuel bill and,the older the System is, the more energy it will be using. Make sure your Heating Thermostat isn't near a cold spot or draught. It'll turn it on more and cost you more! It's not just cutting back. You could save on some Appliances to use the money more effectively on Heating!